If you manage an equestrian facility, you are concerned about dust control. Equestrian instructors, trainers, and animals can spend long hours each day in an indoor arena and are dependent on clean air for optimum performance. Studies performed by the University of Colorado and Penn State University show that equestrian trainers are more likely to develop bronchitis symptoms if their primary work environment was an indoor arena as opposed to an outdoor arena. Dust from arenas contain organic and inorganic materials and can be a serious health issue for trainers and animals. *Even with this information though, only 60% of stables report using some method of dust control. Dust suppression works by causing the dust to be too heavy to be airborne. You accomplish this goal by coating the dust particles or causing them to bind together. 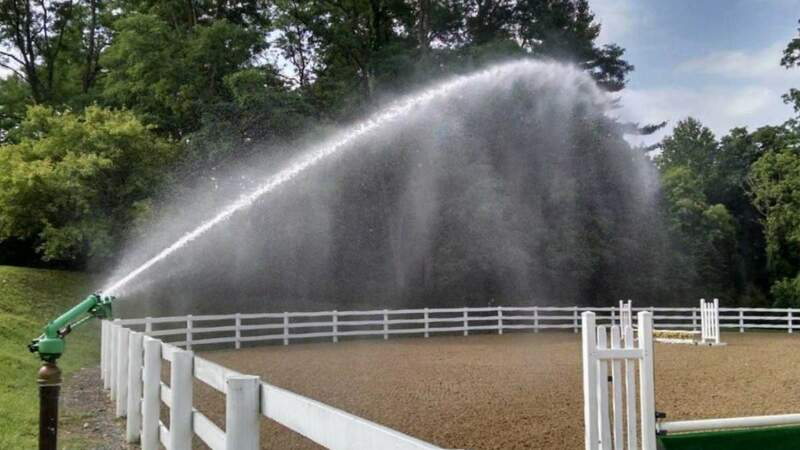 Using water to suppress dust in your horse arena is one of the most used methods of control. Water is readily available and environmentally friendly. In addition, water is fairly inexpensive when comparing to replacing the footing or using another dust suppression method. Many owners prefer water simply so that they do not have to introduce chemicals that could potentially harm the environment. The key for using water for dust suppression is how often and how much you water. For indoor arenas, start by watering deep - through the footing and into the base. Be careful not to overwater. You do not want mud or puddles. After you have conditioned the base in this way, you can water daily and it should take less time than your initial watering. For outdoor arenas, consider the wind as a factor that will carry the water away or evaporate, drying out your footing. In these cases, you may also want to consider landscaping that will help eliminate wind issues. And just with your lawn, water in the morning or at night to minimize evaporation. For water to be effective for dust suppression, the delivery method is critical. Delivery methods vary from a water truck making a pass and spraying a large area, to an individual or team spraying it down by hand. In some cases, changing the footing may be necessary, however, the new material can retain moisture longer and therefore remain dust free for a longer period of time. The investment can be expensive at first, but using a low-dust footing that won’t break down under hoof will solve some of your dust problems. BigSprinkler.com products are designed to provide the maximum amount of coverage for the amount of water available. For horse arena dust control, we recommend the ReelGreen RG20 and RG25 traveling sprinklers. These watering machines are perfect for unattended irrigation and dust suppression and will shut off when finished. 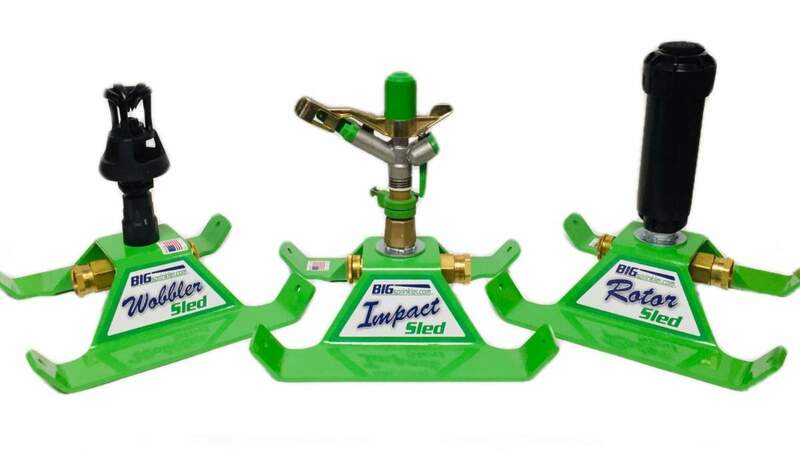 Our wheeled Bigsprinkler carts are another affordable, less expensive option that utilizes leak free sprinkler heads for even water application. The investment of a good sprinkler will benefit horse and rider for many, many years. Our products can help you control dust in your arenas and keep your trainers and animals happy and healthy. Do you have questions about which products are right for you? Contact a representative today and they will assist you to determine the products for your arena.